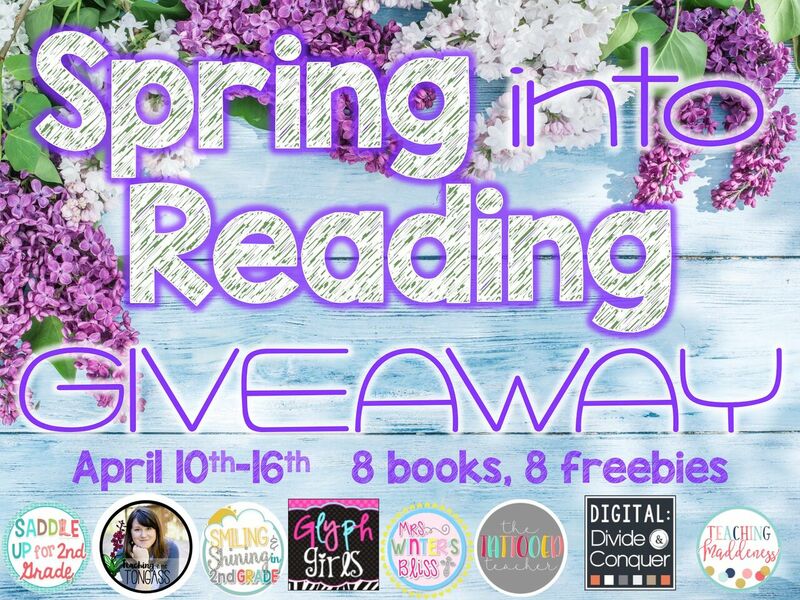 Glyph Girls: Spring Into Reading Giveaway! The countdown is on to the End of the Year! 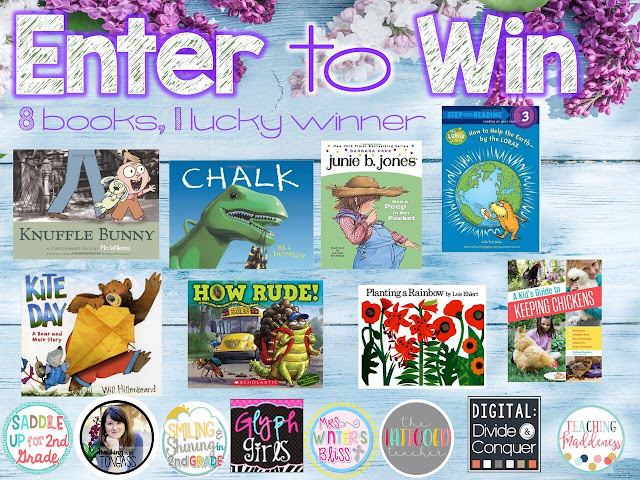 To help you finish strong we've joined with some of our favorite bloggers to bring you a fabulous Spring giveaway. We have each chosen a Spring themed book to blog about. We've created a FREEBIE to match our book, and YOU can win ALL 8 of the books!!! It's easy to enter. Blog Hop from one blog to the next collecting our Freebies. As you go, jot down the magic number from each blog. 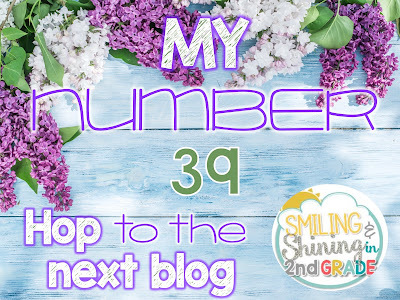 After you have visited all 8 blogs, add ALL of your numbers together. (Calculators are allowed!) Enter the total of all 8 numbers in the Rafflecopter for a chance to win all 8 books. You can earn bonus entries from following each of our TpT stores, as well! The winner will be announced on Sunday, April 17th! We will then each mail the winner our books. This is a fun book about how bear went through the day trying to fly his kite. He encountered lots of obstacles along the way, but with the help of friends he finally found the perfect day and way to fly his kite. Kids will relate to this book and will be able to make connections easily. 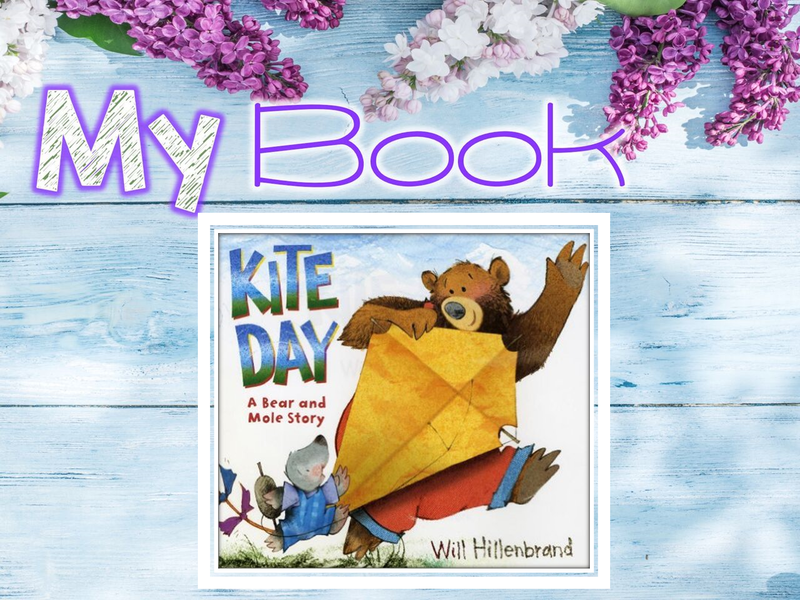 Even though bear had thought through all the tools he needed, he still needed a windy day to help his kite soar!! 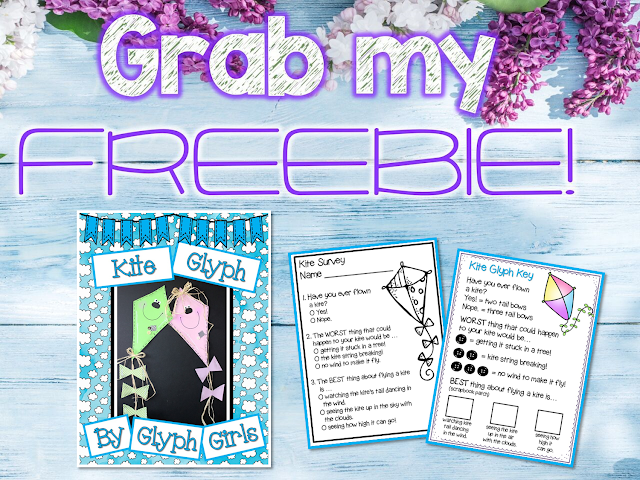 We've created a Kite Glyph you can download for FREE that would make a nice compliment to this book (or any kite book). together the numbers from each of the 8 blogs. Just click on the pic below to go to her blog.